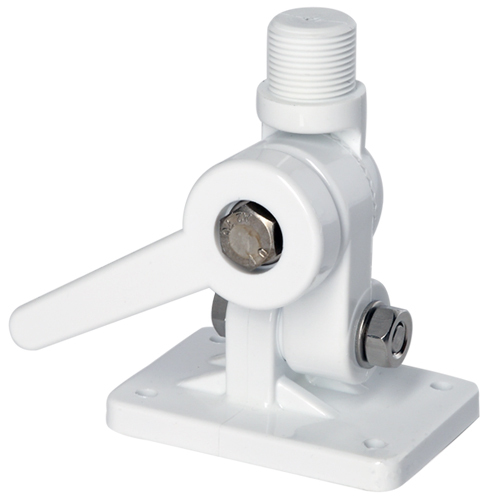 The PA-3 is designed for deck or side mounting. It’s made of UV resistant reinforced nylon and allows the antenna to fold down in four ways with a quick release. 1” x 14 thread. Supplied with fitting set.